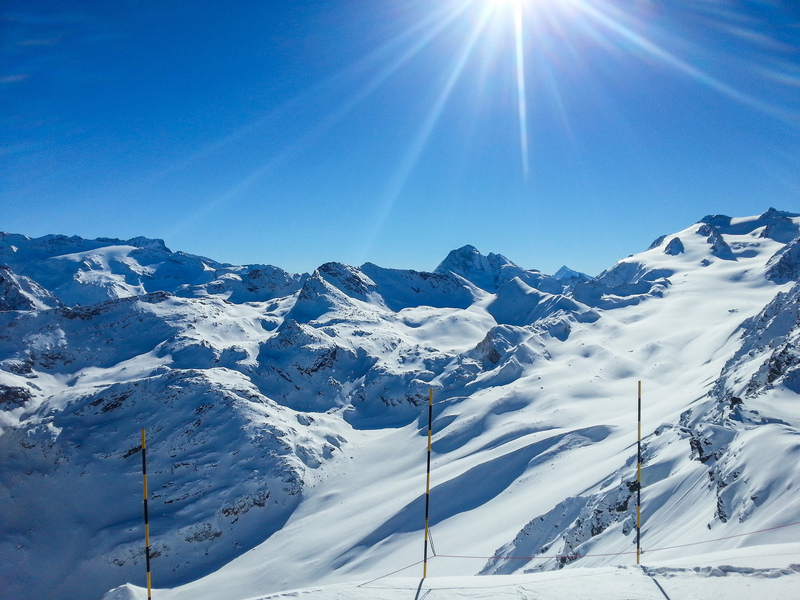 Should you be changing your ski attire after February? 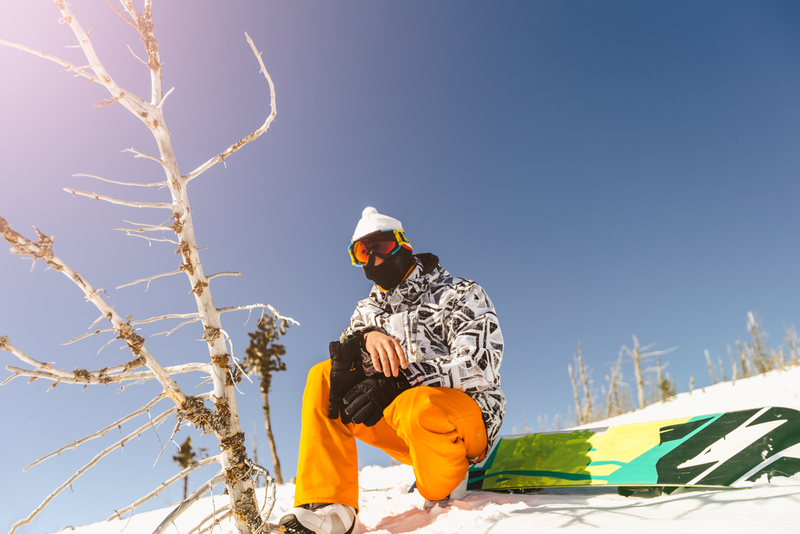 Skiing is different throughout the season and while you have different conditions to deal with, so does your clothing so you should consider a change. As the old Scandinavian saying goes ‘there is no bad weather, just bad clothing’ and never is that more apparent than when you are sat on a chair lift wishing for something you left back in your Meribel chalet . 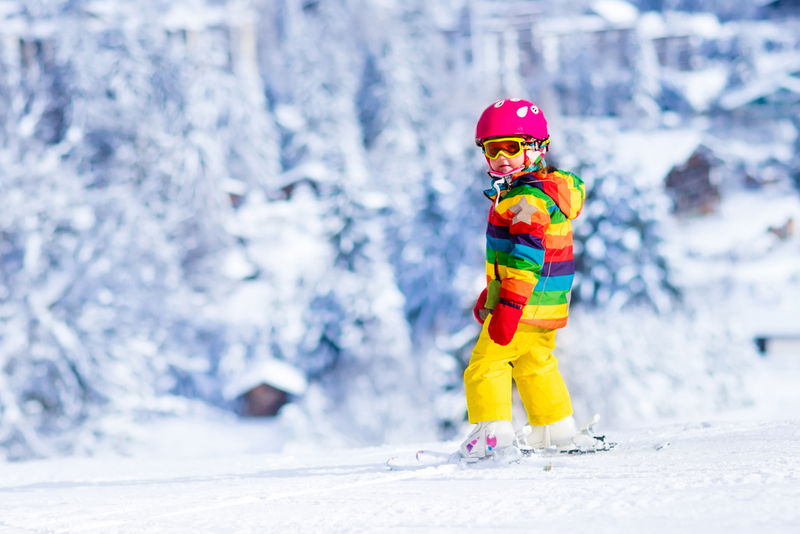 Snow sports come with a fair bit of equipment beyond what you slide down the mountain on, but while it may seem daunting, ensuring you have the right equipment for the country and season will make the entire experience much more worthwhile. 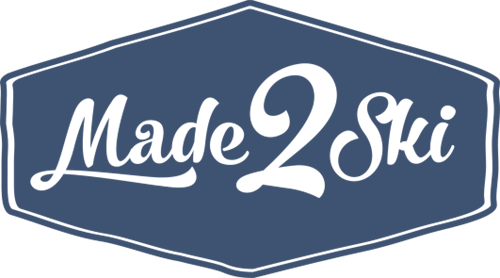 The standard attire for the upper body is a high-quality base layer with good wicking properties, various mid layers depending on personal preference, and a good quality, breathable ski jacket. While this will keep you warm in Canada before the New Year, many find this is too hot for the Alps post-February. Sunny weather and temperatures hitting 16°C will soon find you sweating in your mid layers and wishing you had left a few at home. It is about this time of year that people start discarding the mid layers all together for a day on the slopes, choosing instead to opt for a quality base layer and a well ventilated coat. Though packing a couple of mid layers is never a bad idea, as weather can be changeable and while you may not feel the cold while skiing in the sun all day, you most definitely will if you choose to venture out after dark. The lower body comes with a surprising amount of choices that are always a trade-off between practicality and comfort, heavily influenced by personal preference. The first is a question of style, while salopettes are often thought of as a strictly European choice, skiers in North America and Australia are definitely seeing the value of a less restricted waist and protection from snow down your back. Whether you choose snow pants or salopettes, look for a high WR/BR rating. This shows how waterproof/breathable your trousers of choice really are. If you are an energetic skier who is often too hot, consider choosing a pair of ‘shell’ pants. These uninsulated trousers give you a lot more flexibility, allowing you to add base layers on the more chilly days, but if you are too hot, you can open the vents without fighting with in-built insulation. These will be great as the weather gets warmer, as they are lightweight and perfect for sunny days in the Alps. Many people assume that as soon as the good weather arrives they can swap out goggles for sun glasses and thus avoid a tanned chin and cheeks while eyes and forehead remain noticeably paler. Unfortunately, high quality goggles still have value in the better weather and we should continue to sport the snow tan. With interchangeable lenses, one pair of goggles can support you through any weather conditions, and the newest anti-fogging technology can help in even the most humid conditions. Not only that, but they protect from any wind chill that would otherwise leave you somewhat watery-eyed. The other inevitable downside of sunglasses is losing or damaging them when you fall over. For the bright bluebird days you can swap to lenses with darker tints, preferably with a polarised or mirrored finish to reduce the light intake even further. All gloves are not made equal, and while the fully lined winter beasts will keep you snug well below zero, they will have you tearing them off after an hour of skiing in warmer weather. This may leave you tempted to make do with a fleece glove inner, a light alternative, but with no waterproofing. This mean you will have wet and cold hands all day as the snow will go right through. 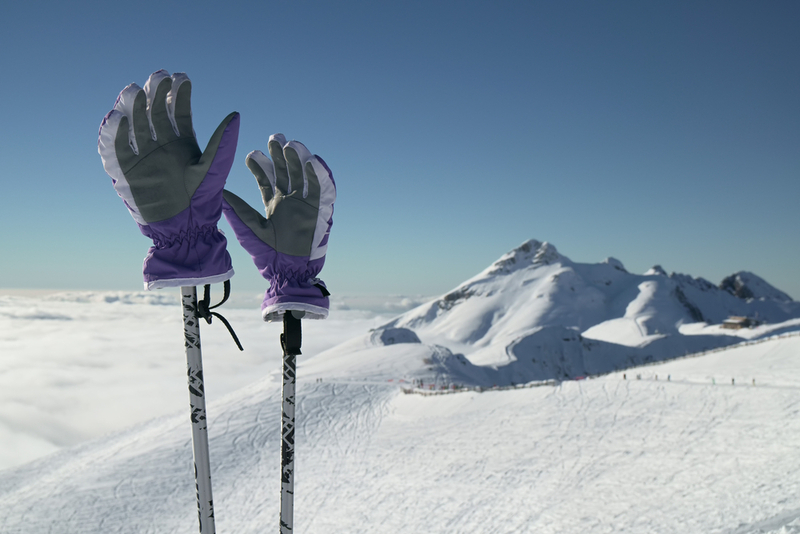 An unfortunate reality is that spring conditions are usually wetter so you don’t even have to fall over to endure the misery of chilly fingers, a wet ski lift or a dropped glove will condemn you just as quickly. Pick an uninsulated glove, with leather palms for gripping wet poles and secure wrist straps to avoid snow sneaking inside. If you find these too cold you can always add a fleece liner underneath to have a versatile pair of gloves that will see you through milder ski conditions. We know we should all be wearing helmets for safety reasons but they quickly become hot and heavy and more of an irritation than protection. This may be the moment that you look longingly at people who enjoy the freedom of a beanie, bobble waving merrily as they pass you. Thankfully we can finish the trade-off between comfort and safety. 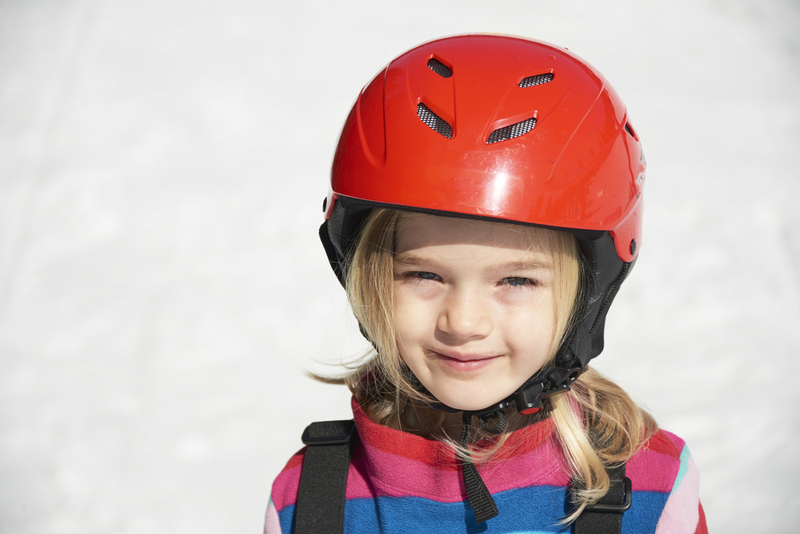 With ever-improving vent technology, lighter materials and improved insulation, you can quickly turn your hindrance of a helmet into an airy dream. It may not save you from helmet hair, but it’s better than nothing. 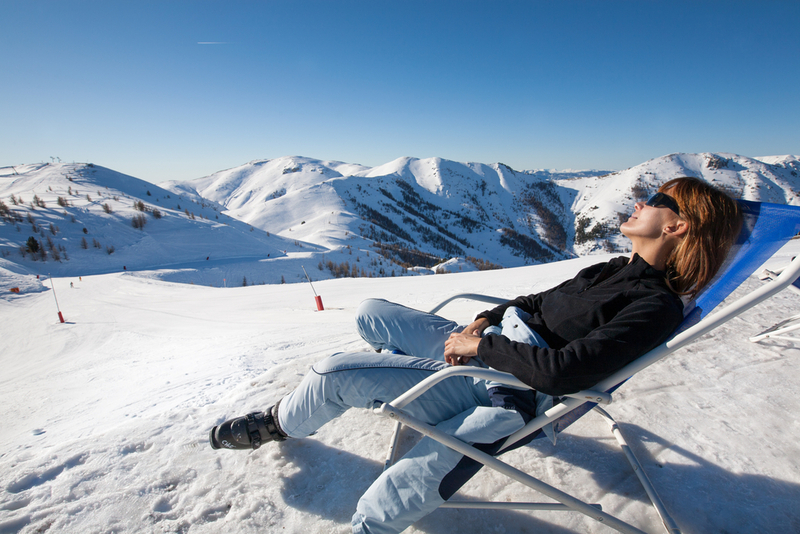 Despite the snow, the early time of year and the fact you will be on a skiing holiday, it is still possible, and even probable, you will get a sun burn. All that sun, reflecting off the snow and on to your face will leave you red raw in no time - and there goes the fun. A little sunscreen stick that fits in a pocket will be invaluable. Whether you are on a lift, or half way down a run, if you can feel yourself burning, you most probably are. You may have sweated it off in your enthusiasm or applied patchy suncream that morning, so keep an emergency sunscreen with you at all times.